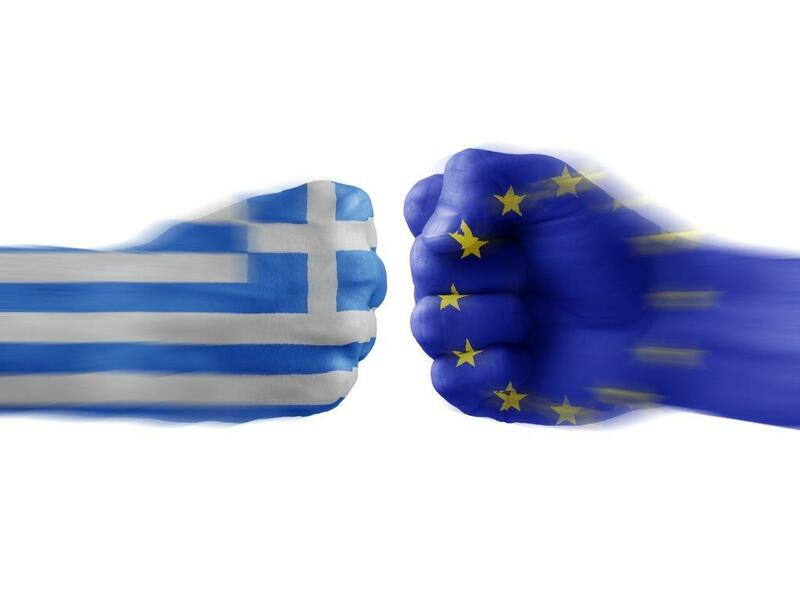 Is Greece preparing to exit the Eurozone? So Greece has pulled the emergency cord in its fraught bailout talks and announced it has delayed a key debt payment to the International Monetary Fund due today. Instead Athens plans to to bundle four payments due in June into a single 1.6 billion euro lump sum which is now due on June 30. The move follows the failure of radical left Prime Minister Alexis Tsipras to break the stalemate with creditors at a late-night meeting with European Commission head Jean Claude Juncker and the top official representing Greece’s peers in the Eurozone. It was the first time in five years of crisis that Greece has postponed a repayment on its 240 billion euro bailouts from euro zone governments and the IMF, even though Tsipras said earlier this week that Athens had the money and would make the payment. The Zambia option might be the only path for Greece. Here’s the bottom line – Greece is scrambling to get the money together and if it doesn’t make the repayment, there will be no deal. And without a deal, Greece will not get the 7.2 billion euros remaining from its 240 billion-euro ($337 billion) bailout fund, which it’s been relying on for five years. Without that money, the country could soon go bankrupt, resulting in a Grexit or forced exit from the euro and a return to the drachma. As The Guardian says, the decision to delay payments appears to be a show of defiance by Athens against what it sees as unacceptably harsh terms being demanded by its creditors. This increases the chances of Greece defaulting on its debts, losing the support for its weak financial sector from the European Central Bank, and eventually being forced to leave the single currency. Then again, in an economy as large as Greece’s, €300m is a relatively small sum. Greek officials had been working to raid undisbursed EU funds for infrastructure projects to cover the payment as well as another €350m instalment due to the IMF on June 12. So that means one thing: the delay announced by Tsipras is a negotiating tactic. The danger is it will put the creditors offside. This entry was posted on June 5, 2015 at 7:45 am and is filed under Uncategorized. You can follow any responses to this entry through the RSS 2.0 feed. You can leave a response, or trackback from your own site.